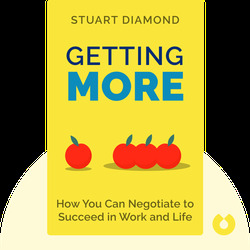 Getting More (2010) lays out precisely how to negotiate your way toward a fuller, more satisfying life. 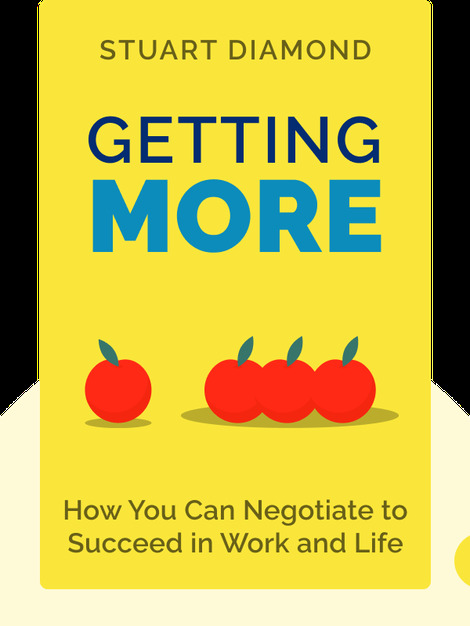 The strategies and tools described in this book can be used in any situation, from finding a happier outcome when sparring with a partner to convincing your boss that you’re long overdue for a raise. Negotiation expert Stuart Diamond is the president of Global Strategy Group. He holds a degree from Harvard Law School and a MBA from the Wharton School of the University of Pennsylvania. Diamond has worked with a number of executives from Fortune 500 companies, and his negotiation model has been used in training for U.S. Special Operations forces. He also holds a Pulitzer Prize for his earlier work in journalism.